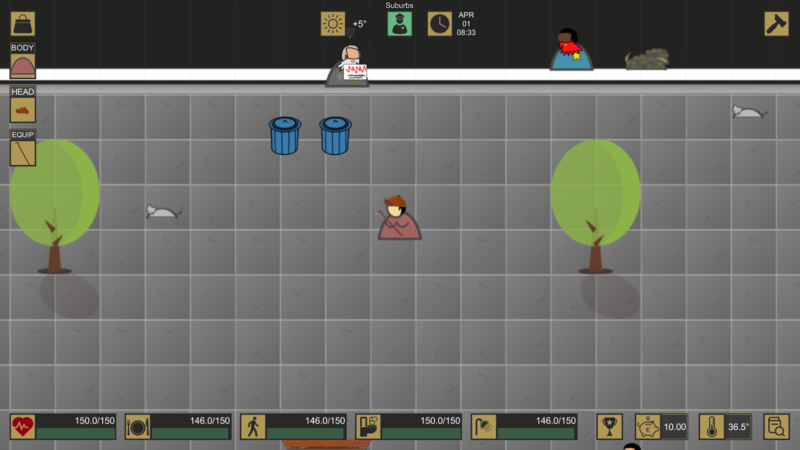 Now we will create a new tiny mod focused on modifying all of the player stats, to tweak and rebalance the gameplay! This is the location where all your game mods reside. It's important to note that the suffix “_MODPKG” to the name is mandatory and required for the engine to locate and recognize it as a mod package. Now you will have to create a proper mod descriptor file in the newly created mod folder. This indicates the starting scene the game will load at the beginning of a new game. The base speed the player can move on. The vanilla value is: 5.5. The amount of money the player starts with. The maximum health the player can achieve. The minimum health the player can fall to. The value you want the stat to enter in moderately dangerous status. It will fire the corresponding effect! The value you want the stat to enter in definitely dangerous status. It will fire the corresponding effect! The value you want the stat to enter in extremely dangerous status. It will fire the corresponding effect! The effect to apply to the player when health is moderately low. The effect to apply to the player when health is definitely low. The effect to apply to the player when health is extremely low. The maximum amount of minutes the shitting action can take. The maximum amount of damage a player ca take from full bowels. The perceived temperature is under this value you are freezing. The perceived temperature is under this value you are cold. The perceived temperature is under this value you are in comfort. The perceived temperature is under this value you are hot. The body temperature under which you are in hypotermia. The body temperature under which you are ok. The body temperature under which you are too hot. The step at which temperatures can variate each single iteration check. A list of items the player will start with. In the QuestItem format. A Clothing Item the player will wear at startup. A Hat Item the player will wear at startup. An Item the player will have equipped at startup. Please note that many properties are repeated for any stat. As I mentioned the health related properties you can assume any other stat related property bearing the same name works in the same manner. If everything went well you should now be able to start again the game with no errors(!). You should now find the new mod in the Mods panel of the main menu: Click it to let it go in the active mods list and be sure to put it last, like in the image. 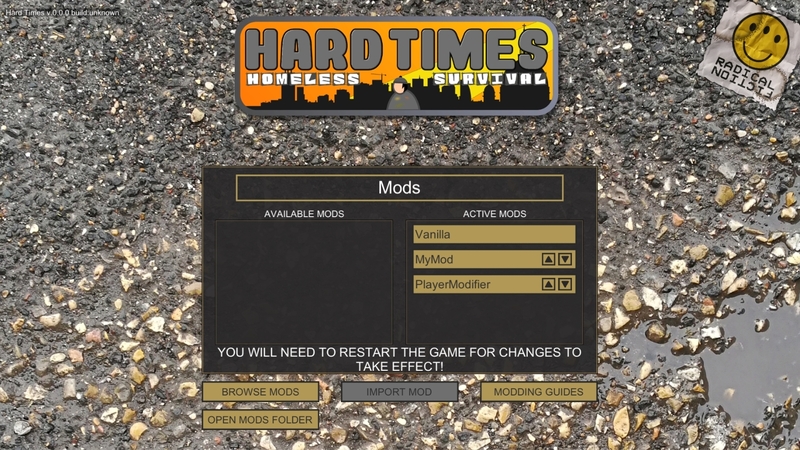 Now you will have to restart your game to let it load correcly the new mod. So start a new game and check the player stats: Your character is now stronger, faster, fully modded. If you have problems or find errors in this guide please get in touch at info@tempi-duri.net.